Slovenia’s President Borut Pahor highlighted the impetus that Iran’s position, power and stability provides for the Central European country to forge closer relations with the Islamic Republic. 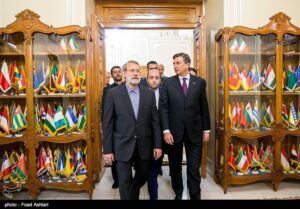 Iran’s significance, strategic position and stability in the Middle East gives Ljubljana enough motive for the expansion of relations with Tehran, Pahor said at a meeting with Iranian Parliament Speaker Ali Larijani in Tehran on Wednesday. The visiting president also referred to reopening of Slovenia’s embassy in Tehran earlier in the day as a testimony to the willingness for stronger relations with Iran, predicting a bright future for the bilateral ties in all fields. He voiced Slovenia’s readiness for joint investment with Iran in various economic fields, including modern technologies, industry, environment and new energies. 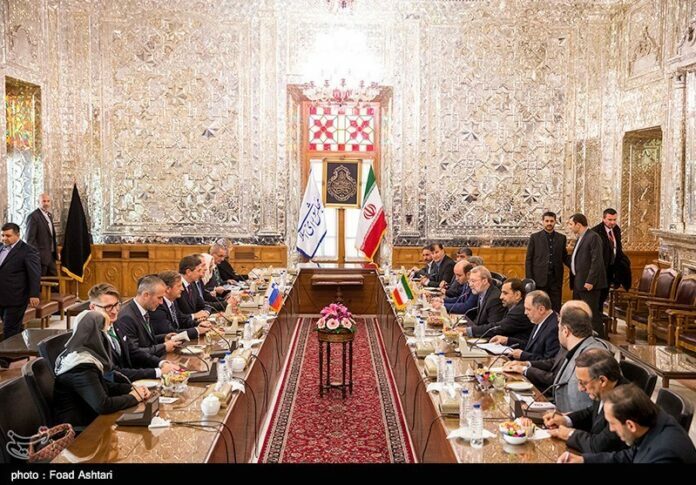 Larijani, for his part, affirmed the Iranian Parliament’s support for reinforcing bilateral cooperation, stressing that Iran holds a “positive view” on the enhancement of political, economic, parliamentary and cultural relations with Slovenia. The speaker also hailed Pahor’s visit and the reopening of Slovenia’s embassy in Tehran as a milestone in the history of Iran-Slovenia ties.